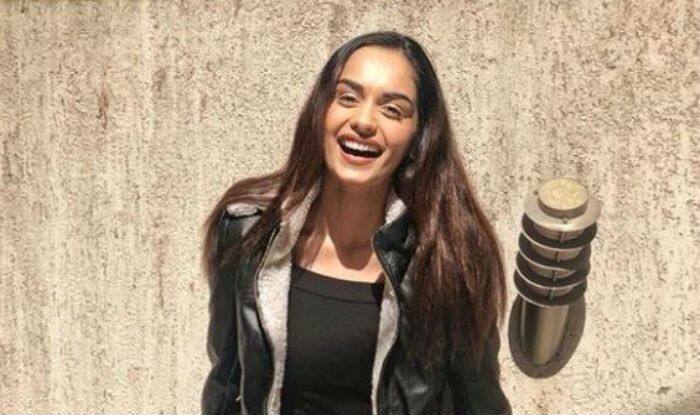 The Miss World 2017 Manushi Chhillar has beauty with brains. She is currently making public appearances and has become a global star. Manushi also takes an active part in various awareness programmes led by different organisations. Recently, Manushi took to Instagram to share a happy sun-kissed picture. In the photo, she was seen wearing a mini black skirt paired with a black top and a leather black jacket. And what we can’t miss is her smile. It added more beauty to the stunning picture. Manushi welcomed New Year with this beautiful post and captioned it as, “Jan #2019”. The post got around 475,801 likes and her fans started pouring their love in the form of comments. In the picture, you can see Manushi is all smiling and enjoying the sunrays. Needless to say, Manushi has all the charms of becoming the next big starlet in B-town. Most of the times, she shares a lot of pictures through her Instagram account and is quite active in social media. She loves to keep her fans updated about the things that are going on in her life. Manushi has been also associated with a project which was exclusively for menstrual hygiene. The cuttie hails from Haryana, and her achievements have surely motivated many young girls to make their endeavours true. She was crowned the 54th Femina Miss India World 2017 by the outgoing Femina Miss India World 2016 Priyadarshini Chatterjee at the finale event held in at Raj Studios. She represented her home-state Haryana as the Miss India Haryana as the Miss India Haryana 2017 at the Femina Miss India 2017 and competed with 29 other contestants from different Indian states.